Newbie Posts: 9 Paracord solves every problem you can think of! I'm a huge fan of the Leatherman PST. I've been carrying an 89 PST that my uncle gave me when I was 6 for about 20 years now. I really want an original PST in black oxide to add to my collection. I don't really care about the condition, just as long as it doesn't look like it got ran over by a tank. I understand that these are hard to come by, and extremely collectible, so I'm willing to negotiate a fair price depending on condition. 550 are you after a BO PST with the cap crimper pliers or one with out . 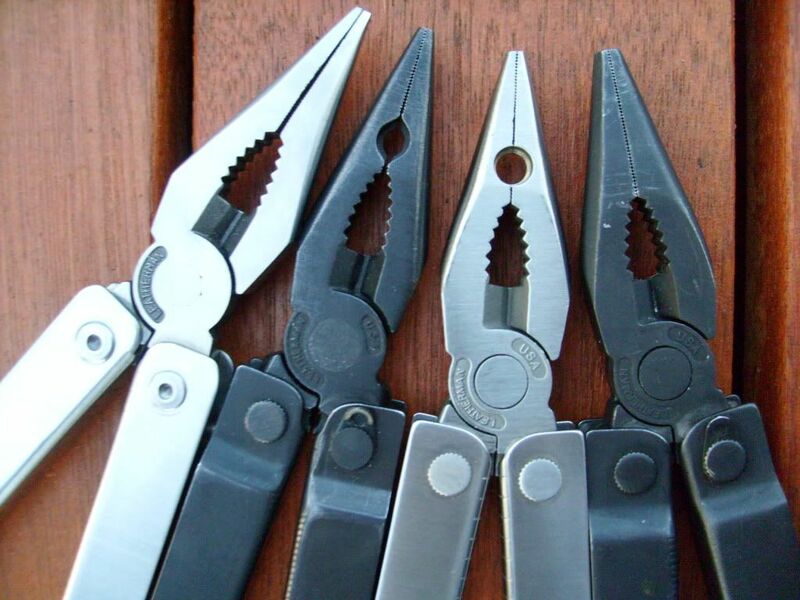 The BO PST with cap crimper are a lot more common than the plain pliers BO PST. There was a nice one on ebay that went cheap sunday morning. Wished I`d known you were looking for one. I`ll check and see if I have an extra. I`ve got a few BO with and without CC. But dont think I have an extra at the moment. David, if you have one, that would be amazing. If you could part with one, then you're a better man than me. I know that if I had 20, then I still wouldn't think I had enough. I looked and the only extra one I got is my personal one I keep in the Maxpedition Organizer. Its a no date that the tip of the knife blade was broke off and I reprofiled it. I dont really want to part with it. The rest of them are all different in some way and part of my collection. If I change my mind or come across one I`ll let you know. David, I completely understand. Just let me know if you reconsider. 550CS you have a PM.